Mas Kagin Tapani: MAKATA’S BACKGROUND AND CONSERVATION APPROACH. Rather then waiting for the government to establish protected areas throughout PNG, we should take proactive roles to partner with our government to achieve this goal. If we all take one step to protect and sustainably manage our resources, we can achieve the so called "blue" and "green" economic growth. The Mas Kagin Tapani Association’s (henceforth MAKATA) Adaptive Sustainable Resource Management Use or Planning Process and Community Livelihood Project is located in Madang Province, Papua New Guinea. MAKATA is a new initiative, formed by Wenceslaus Magun, his community facilitators, advisory board and volunteers of the Sea Turtle Restoration Project (STRP) in the Western Pacific region in 2009. Mas Kagin Tapani means Sea Guardians in the local Bel or Takia languages in the Madang Province, Papua New Guinea (PNG). MAKATA is a new and exciting organization established to formally recognise efforts Wenceslaus Magun and his community facilitators and volunteers have been doing since June 2006 to protect and restore the declining population of the critically endangered Leatherback Turtles or (Dermochelys Coriacea). The establishment of MAKATA emanates from the need to sustain the Sea Turtle Restoration Project (STRP) in the Western Pacific region from the Turtle Island Restoration Network based in California USA as a local NGO. When his contract ended in 2008, Mr. Magun established the Mas Kagin Tapani Association Inc. (MAKATA) to sustain this initiative. Our goal is getting them through a process to think and work out what they can do to address these issues and to develop action plans to move forward. Our effort has seen Karkum village, established its locally managed marine area using conservation deed in 2008. In addition, the Kimadi and Magubem communities have also established their resource management areas in 2013 using traditional management system. From 2009 up till 2015 Mr. Magun continues to ensure the program is sustained. He floated this organization from his kitchen table in Port Moresby without salary since then. Much of the money obtained to run MAKATA came from his taxi service in Port Moresby, and small grants from TNC, WWF, UNDP-SGP, Santa Monica Sea Food and WiseFish, and others. In 2014 we adapted the Adaptive Marine Resource Management Planning system for the Mur community. This tool has been widely used by The Nature Conservancy in Kimbe Bay, West New Britain Province. We are mid-way through this process but could not complete it due to funding constrains. MAKATA has adapted two conservation tools to save the critically endangered Leatherback Turtles in Madang. We have used the Adaptive Community Resource Management Plan in Mur and Conservation Deed in Karkum. In the meantime, two of the communities we had worked with, namely Kimadi and Magubem, have adapted their traditional management practice. 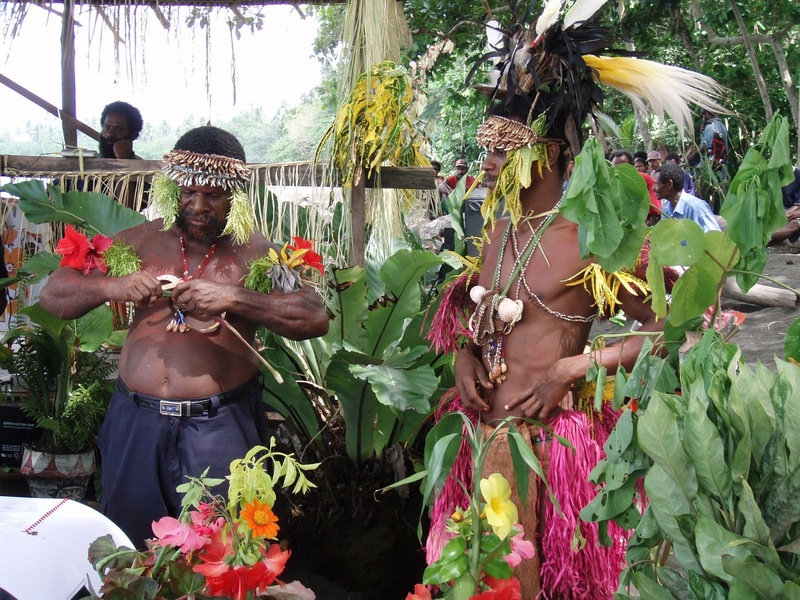 Conservation Deeds in PNG are the result of a community-driven process that creates a locally managed conservation area, and a long term community stake in the protection of natural resources in ways that also meet the economic and social needs of the community. These management systems recognize customary tenure system. It’s a bottom up community based and driven resource management approach. It gives the indigenous local resource owners power to be masters of their own destination. It also allows them to develop management plans using appropriate traditional and customary knowledge and practices over their land tenure systems that have been used and passed down from one generation to the next. A community-based monitory benefit system can be developed with the communities so that these rangers can receive some form of stipend to compensate them for the time they put in to carry out community resource monitoring, compiling data, and presenting it to their community. This training will then enable them to supply accurate and reliable data to the government and relevant stakeholders as and when it is needed. An informed community will then take appropriate and necessary action to mitigate threats to their habitat and biodiversity and ensure that they manage and sustainably use it for their own benefit. We envision a maritime conservation process planned and implemented by the partners will be sustainable. Community members will be and have been the ones to or have actually set up their marine conservation areas and eventually sign or signed their conservation deeds. We engaged Community Facilitators experienced in Participatory Rural Appraisal (PRA) and Participatory Learning and Action (PLA) tools, to help guide the communities through a process towards establishing their adaptive resource management areas. We taught them about PNG history, PNG biodiversity, PNG’s 4th National Goal and Directive Principles, the Convention on Biological Monitoring, and the different protected area systems. We gave communities the opportunity to decide which system they wanted to adapt. Throughout this process, we ensured that we did not create any false expectations for the communities. Our community entry process was also diligently attended to making sure that “cargo” cult mentalities were not established. We ensured that communities would not demand or expect cargo from us in return for our community visits and workshops or for them to create resource management areas. Once they decide which system to adapt we take them through the process until it is completed and established. This process helps them take ownership of their resources. They also understand the issues and are able to manage their natural resources wisely. Simultaneously, we also gained from this process. It has helped us understand each communities needs and prepared us to offer the best guidance and inspiration on leatherback turtle conservation and local communities’ resource management plans. Invitation from YUS Tree Kangaroo Conservation Program-PNG and partner NGOs to MAKATA to share our knowledge and experiences on the CD process and run Marine Monitoring Workshop in their respective conservation communities is a clear indication that partner NGOs do believe in what we do and are now calling us to assist them in their resource management trainings. Our work has contributed to the recognition and appointment of Wenceslaus Magun as interim board member for the Centre for Environmental Law and Community Rights (CELCOR) in 2015. He is also recognized by the South Pacific Commission on his tireless campaigns and contributions on experimental sea bed mining. We have heard personally from leaders and people in coastal villages who know in their hearts that they have to do something about the decline, not only in the number of sea turtles frequenting their beaches, but also the decline in the entire fisheries resources. They are beginning to realize that they themselves had been and still are one of the causes of the decreasing fish stocks and sea turtles. They also know that outside interests such as commercial fishing, sea bed mining, sea tailings disposal will also impact their marine environment. Vision: To ensure Leatherback Turtle (Dermochelys Coriacea) and other endangered sea turtles are restored and protected. Mission: To enable local communities to practice conservation as to maintain the sea turtle species that will continue to support the well being of the people of Madang, PNG and the Pacific. Four (4) Core Values: Sacrifice, Consensus, Giving, and Respect. The focus of this Project Proposal is aimed at sustaining MAKATA’s existing Programs in Madang including: Program 1: Adaptive Marine Resource Management Planning (AMRMP); Program 2: Marine Environment Education Training (MEEP); Program 3: Information, Communication and Education (ICE). The second aim is to establish a permant physical administrative office, and staff houses. This will enable MAKATA to employ full time staff to increase the conservation initiatives and sustain all the programs. It also hopes to secure sufficient funding for a Project Vehicle and a Project Boat as well as securing funding to run all the Programs from 2016 to 2018 and beyond.